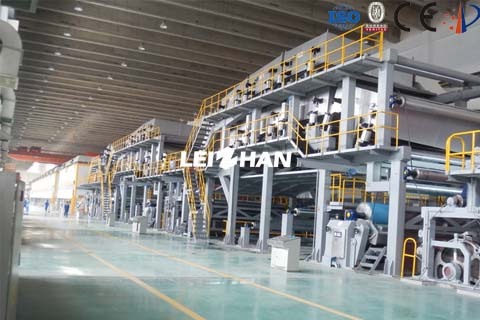 Leizhan is a professional manufacture for high quality paper and pulp making equipment. According to the production demand of advanced white board paper, the 4300 coating board paper machine is composed of headbox, wire section, press section, drying section, coating section ,reel section and so on. The quality of printed matter has a lot to do with the printed materials. And the quality of printed materials are closely related with the coating base paper, paint and surface treatment. 4300 coating board paper machine coordinate with the excellent pulping equipment can produce the coated paper with good optical properties and printing properties.